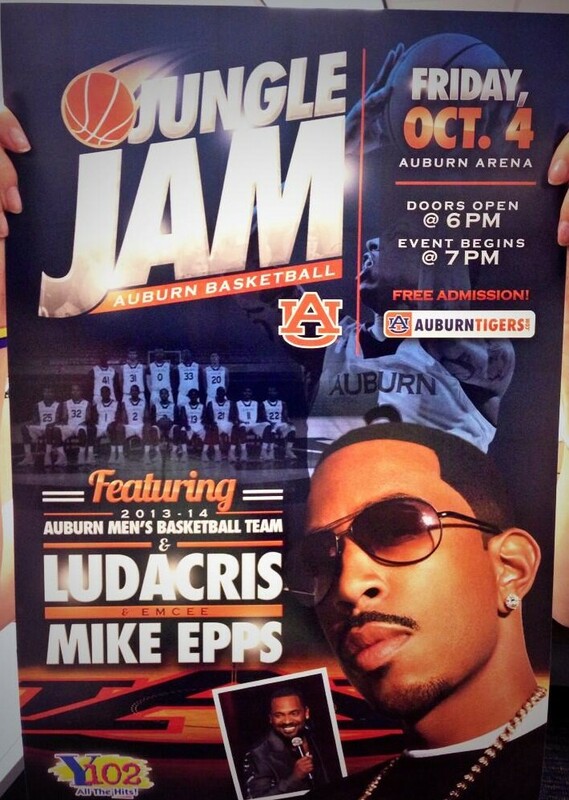 As I told you a few weeks ago, Ludacris and Mike Epps will be taking part in Auburn Basketball’s Jungle Jam on October 4th. 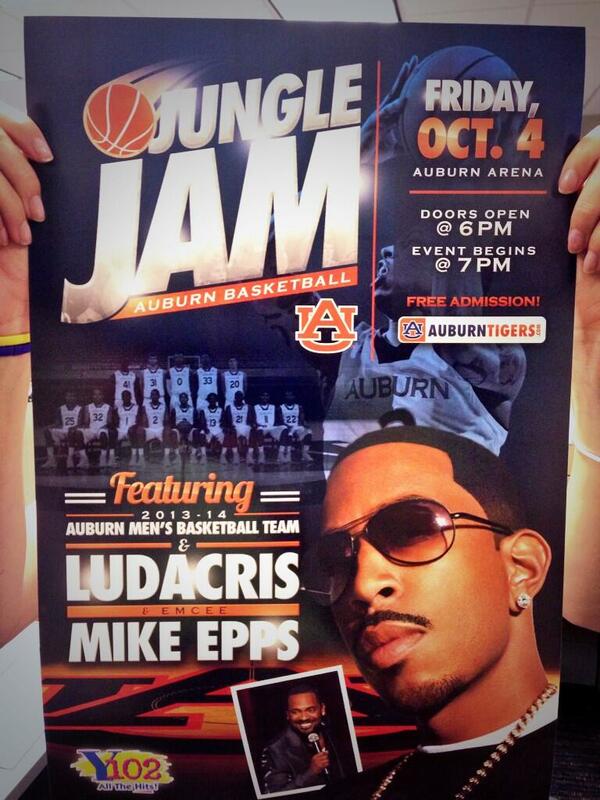 Jungle Jam is free and is basically the first practice event similar to what other teams do for Midnight Madness. Here is the poster for the event. This would be cool if it was 2002 still. WDE, anyway. Do you have one I can get from you? ?